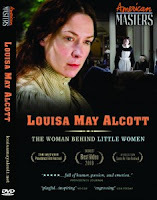 Thanks to the fine folks at Picador, I have a paperback copy of the critically acclaimed LOUISA MAY ALCOTT: THE WOMAN BEHIND LITTLE WOMEN by Harriet Reisen and a DVD of the PBS documentary based on the book to give away to one lucky reader! I have been dying to read this book, especially after seeing so many fantastic reviews; and I've heard the documentary is terrific as well. 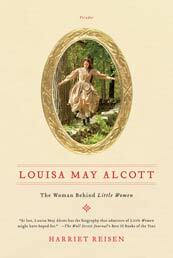 If you want to learn more about LOUISA MAY ALCOTT: THE WOMAN BEHIND LITTLE WOMEN, then check out Ms. Reisen's Facebook page. There are some fantastic resources available including a reading guide, a video, and a photo gallery. To enter this giveaway, just fill out the form below before December 2nd at 11:59 p.m. ET. I will randomly select and notify the winner the following day. This giveaway is open to those of you in the U.S only. Good luck! What a fabulous giveaway! Thanks for hosting. Loved the PBS series! Would love to read the book! no need to enter my name ... but I want to encourage your other readers to enter! I've read the book (it's fantastic! ), and have put the DVD on my holiday wish list. Wow! I'm so hoping on this one. I have this posted at win a book! Hoping,hoping,hoping,hoping to win this one! I too have heard great things about this combo -- and loving Alcott the way I do, I'm so excited to see the DVD. Thanks for the giveaway!